A 45 minute program for toddlers up to 36 months. 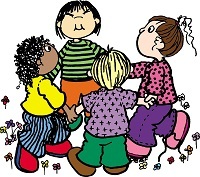 We’ll move to music, play with toys, engage in group games, share stories, and make new friends! Please register starting Tuesday, June 19 online or in Youth Services. When you register, you will be signed up for ALL six weeks.